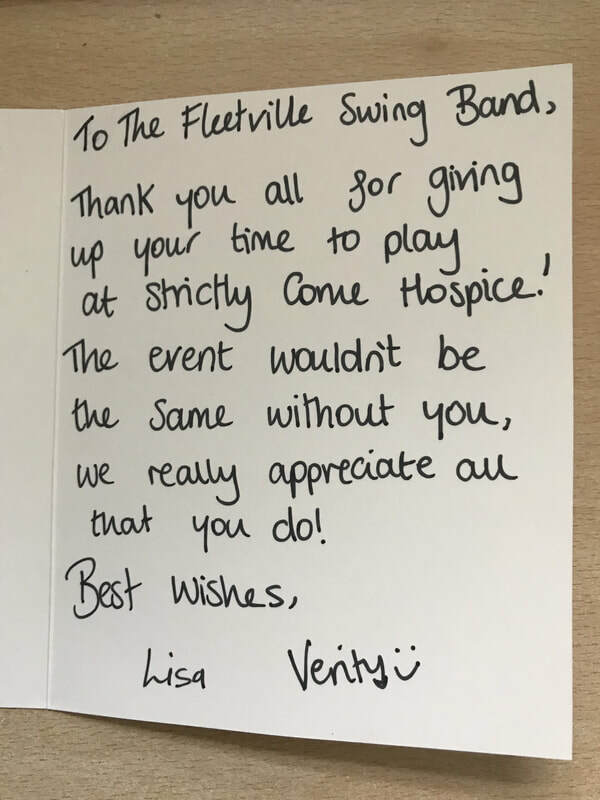 ​"........a very very successful street party.....For me, what made it a special day was having The Fleetville Swing Band playing live, they were brilliant....I can't wait for the next reason/excuse to hold another street party!!" 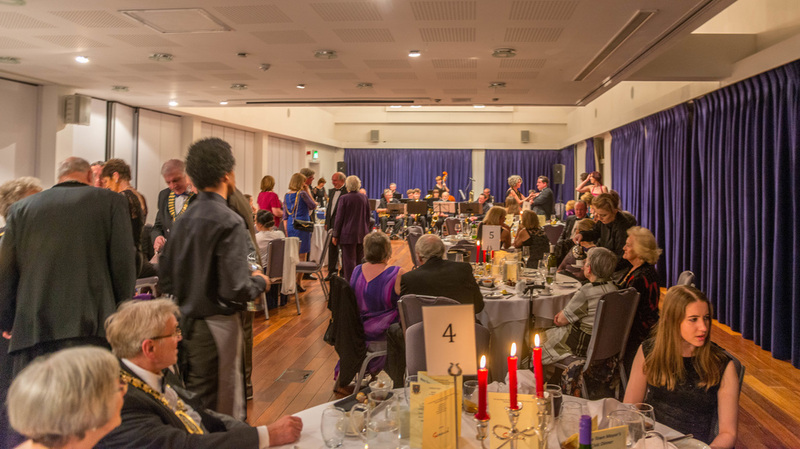 "The Mayor has asked me to thank you all for a superb evening’s entertainment at the Civic Dinner on Saturday. I do hope you enjoyed visiting us in Ware"
" ... Would the Fleetsville Swing Band be interested in appearing in Ware in 2017?" "I would like to take this opportunity to thank you for an amazing year of music making - without which I would be unable to join other district groups. Everyone (but especially my fellow trombonists) has helped me grow into the musician I am today, so I thank everyone greatly!! "I would like to send a big THANK YOU to all the band members for such an amazing performance on Saturday. Everybody enjoyed it so much." "... Your timing for getting Dave to sing was perfect & I can't thank you enough for allowing him the opportunity to sing with a big band-one of his dreams come true." "... Thank you once again for making the party so special." "We have had so much positive feedback about your performance so please do pass that on to your members ..."
"... Thanks again for helping to make our picnic go with such a swing! I’m sure we will be seeing you again..."
"Many thanks to those of you who were able to attend yesterday's Fleetville Summer Fair - what a great day." ... some of the parents, stall holders ... all said ... how wonderful we sounded." ... they really did appreciate our taking part." 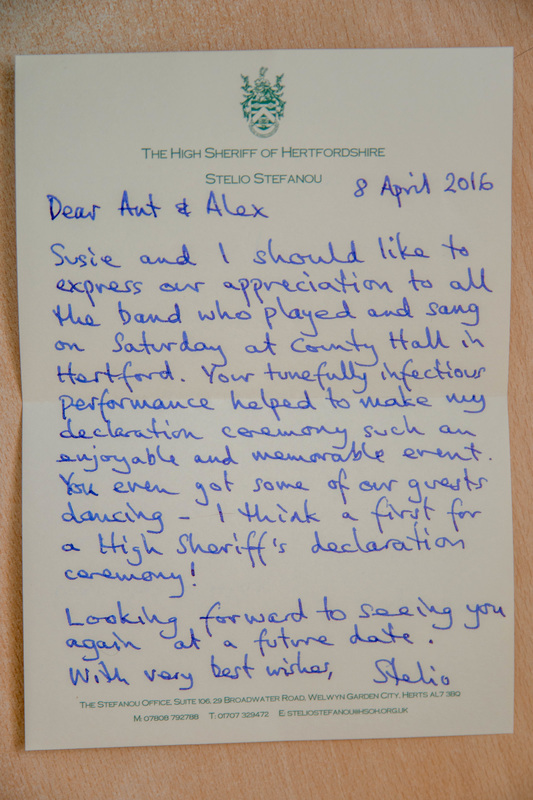 "Thank you so much for performing in Saturday, we have had some very appreciative comments about the band!" "The afternoon was very successful (despite the breeze!) with lots of ex pupils visiting and members and we have raised lots of money for our new playground!"